All men’s hairstyles are the same, right? Not exactly. Just because women have all the fun with hairstyle round up ideas doesn’t mean you can’t, too. 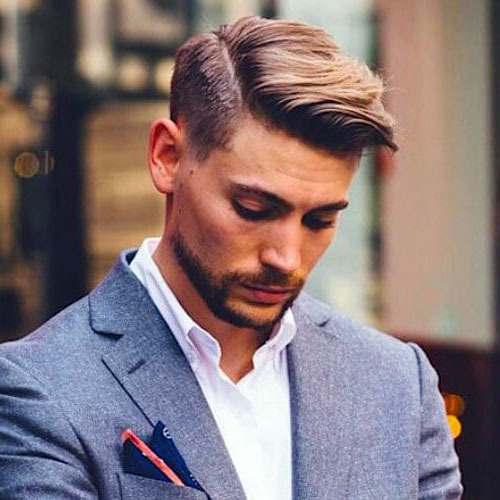 We’ve compiled a list of our favorite professional hairstyles for men with options even for professional hairstyles for men with long hair. So the next time your big presentation rolls around, your powerpoint won’t be the only thing that impresses your boss. Let’s take a look. 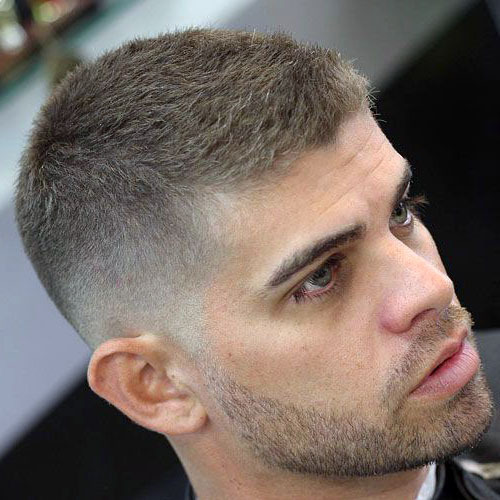 Crew Cuts are classic professional hairstyles for men. They’re clean and well trimmed. They also flatter a wide range of faces. It looks even better if you have a well-groomed beard (if the office will allow it). 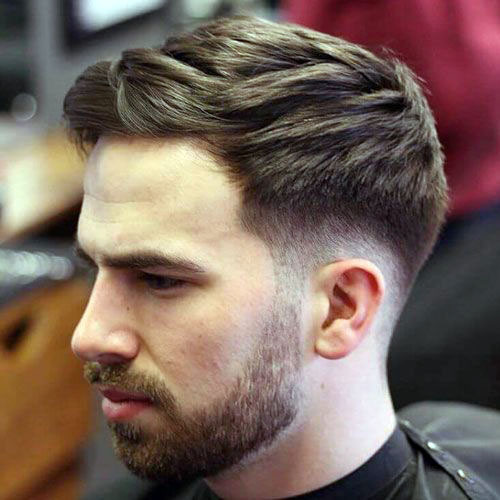 If you don’t want to go quite as short as a crew cut, longer professional hairstyles for men can be very groomed as long as you have the right product. Make sure you have something to tame your long locks to the side, so they stay in place. While we’re on the subject of longer hair on top, you can also style your hair up and back. It reminds us of the 1950’s when boys wore their hair long on top for a ride in cars downtown. You can pair it with a more casual office look such as rolled up sleeves. Speaking of the 1950s, we love more than the style. The professional hairstyles for men of this era were perfect. 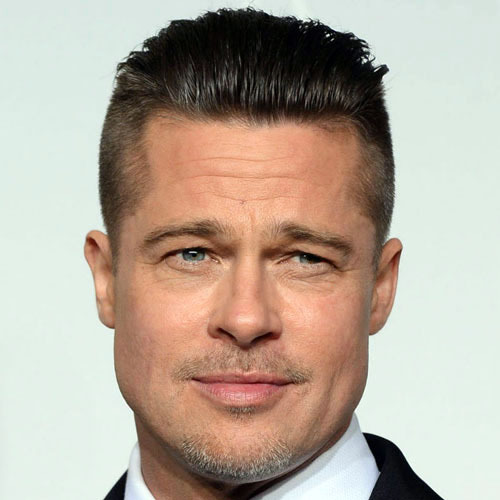 Here, shorter hair is perfectly parted and gelled to the side for a well groomed, power look that demands attention and respect. Don’t want to fuss with one of the more complicated professional haircuts for men? Try a buzz cut instead. You could keep this one looking fresh yourself. Don’t go so close that you turn into Bruce Willis, but a nice shave is a spotless look. Not all cuts are close. Some give some leeway with how you style your hair. Here, you have some length that you can blow dry to give some volume at the crown. 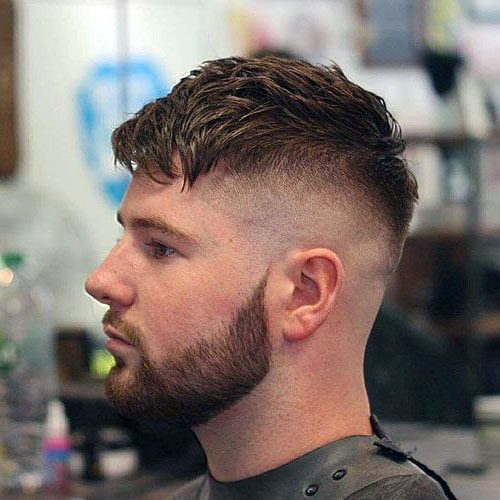 Keep the sides short, so it stays in the spirit of professional hairstyles for men. 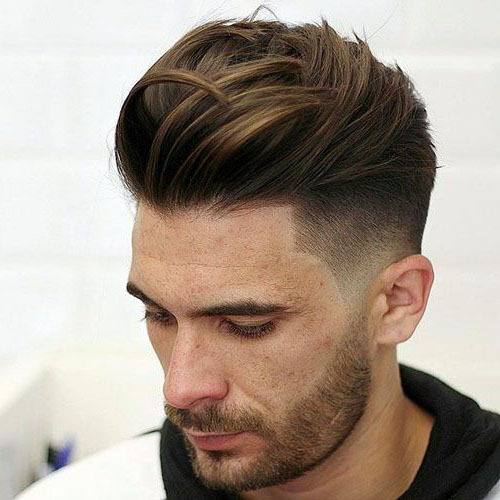 Fades might be a little edgy, but here, it gets a professional look with a close-cropped undercut. If your office is a little younger and not so traditional, it blends really well with business casual or with suits. Make sure you get it groomed regularly, or it can look unruly. 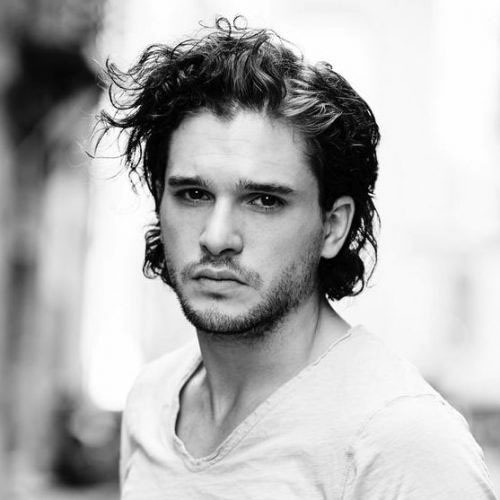 Wavy hair can get in on the professional hairstyles for men action, too. Use a small bit of product and push back longer strands away from your face. Keep the sides shorter, so it looks clean overall. Short hairstyles look wonderful, but some of them can be uninspired. If you get your hair the same length all around, it’s … fine. 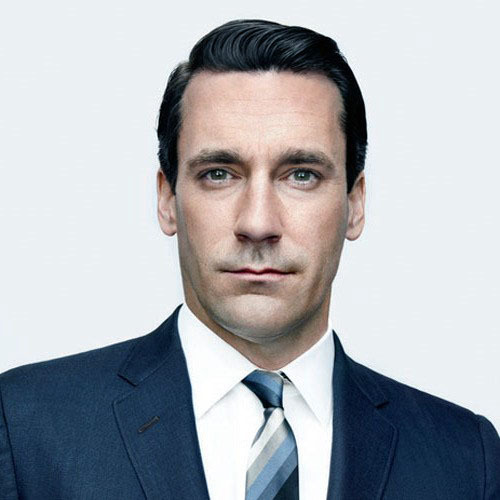 Taper it instead for a more mature look that turns heads in the boardroom. 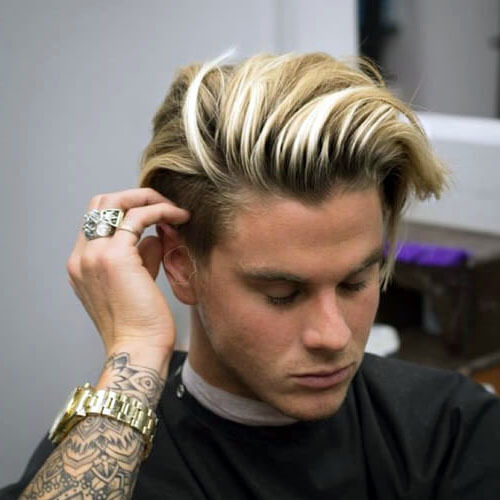 If your office is trendy, such as those in tech or graphic design, you can get away with one of the hottest trends in men’s hair. 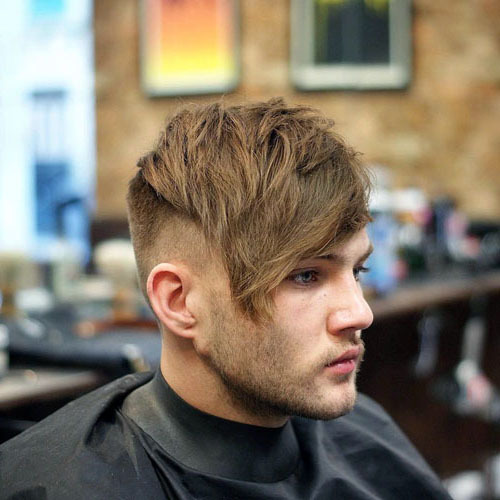 This disconnected undercut is very short until you get to the top. Push it back away from your face, so it doesn’t look too messy. Got long hair? Here are some professional long hairstyles for men. We love wavy hair! If your hair is thick and full, let it grow a little so we can see it. Control it with a side part and a bit of product to make sure it falls away from your face. It might not fly in ultra-conservative offices, but in many office environments, it’s one of a few professional long hairstyles for men. As long as your hair is layered, it will fall into place. Layers can keep it from looking like a 1990s grunge band instead of professional long hairstyles for men. Keep things clean by sweeping it back away from your face so it can fall into textured layers. Long hair that reaches the nape of the neck looks fantastic when it’s styled back with a little product. Trendy offices will love this look. It’s the perfect way to have longer hair on top but still maintain an office-ready look. Professional hairstyles for men with long hair are possible! Bobs aren’t just for women. They can be ultra flattering on men. Professional long hairstyles for men are great when it’s tailored close to the neck. It can fall away from the face, or you can use a little product to slick the sides down, so it stays in place. Again, if you keep your long hair trimmed into layers, it can be part of professional hairstyles for men with long hair. Make sure you blow dry it, so it’s smooth with some volume on top. Layer it in the back for better style. 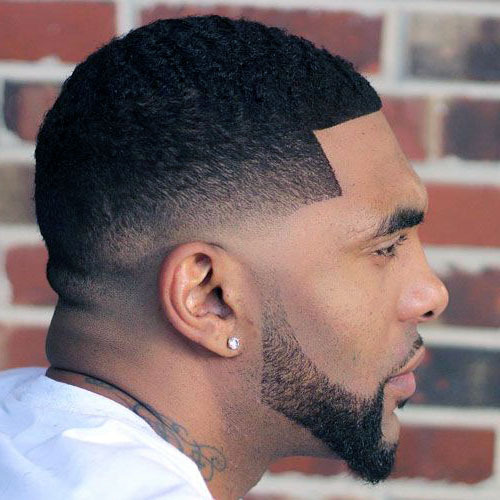 There are cool professional hairstyles for black men. Here are a few of them. 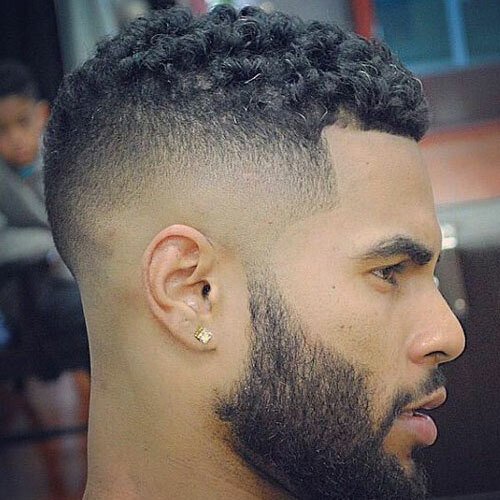 Short professional hairstyles for black men can be visually interesting. Close-cropped hair gets subtle texture with waves. The line up follows the structure of the jawline and temple for visual interest, while the waves keep things from being too conservative. Make sure you maintain the trim for best effects. Buzz cuts are great for offices that don’t appreciate any sort of trendy styles. This one has a subtle line up around the temple and a lovely close crop. You could maintain this one yourself, or head to a barber for an ultra close shave with well-trimmed edges. 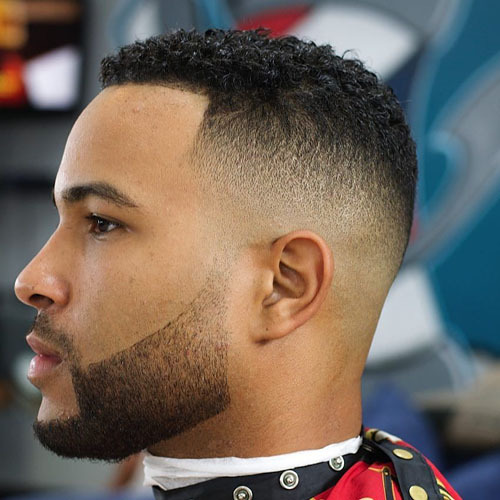 If you maintain your fade well, some professional hairstyles for black men will be a very stylish cut that’s not so traditional. We see this one in the boardroom and on the weekends. 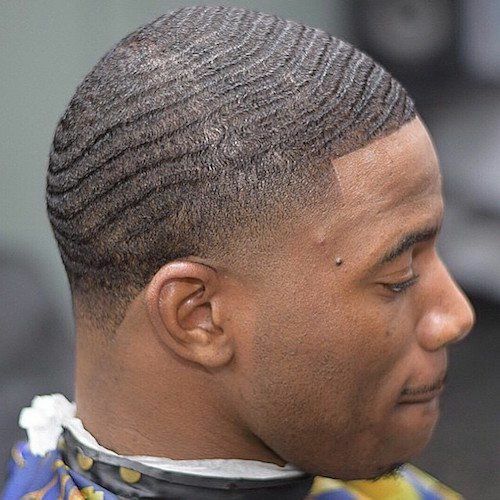 Make sure your fade is perfect, so it stays professional, but the waves add subtle visual interest. 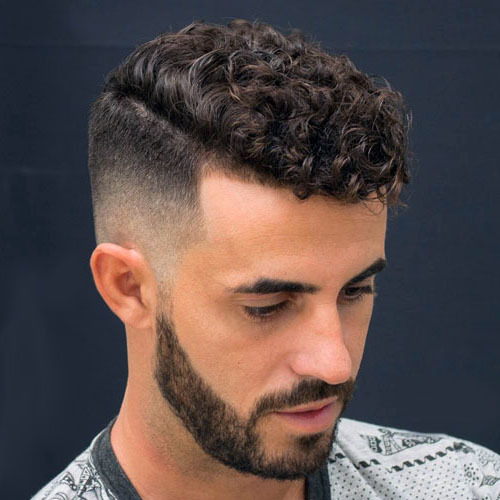 Sponge curls allow your natural hair to take shape, but things stay manageable and professional with a slight fade. It’s an understated homage to natural professional hairstyles for black men that stays out of your face and goes well with your suits and ties. 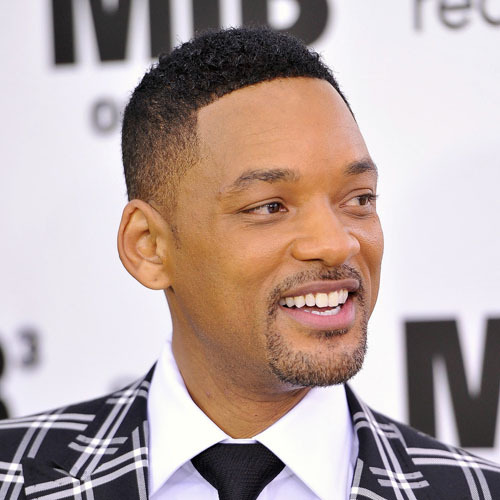 Will Smith always keeps his hair closely cropped. Take a page from his playbook with his signature look. 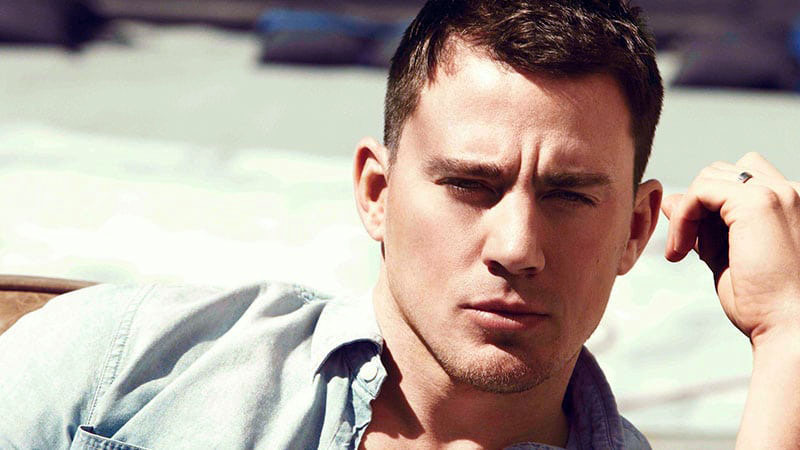 If have short hair, here’s a selection of popular short professional hairstyles for men. This close-cropped look gets some visual interest from a few spikes. It’s irreverent and fun. Make sure it stays well trimmed, so it doesn’t look messy. It goes well with suits and looks very youthful. 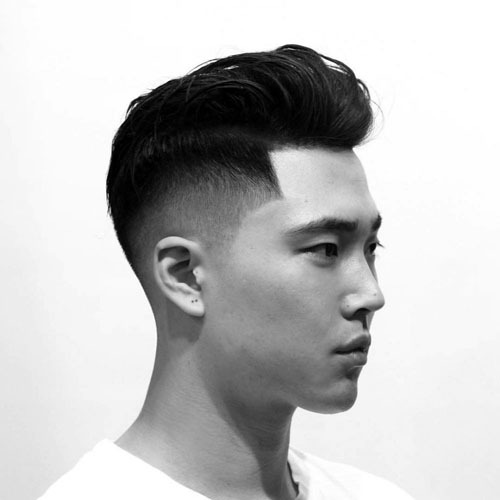 Tapered cuts with slight side bangs are a classic throwback to a bygone era. It reminds us of aviators at the high of flights and bomber jackets. Here’ the haircut is an excellent complement to a suit and tie. 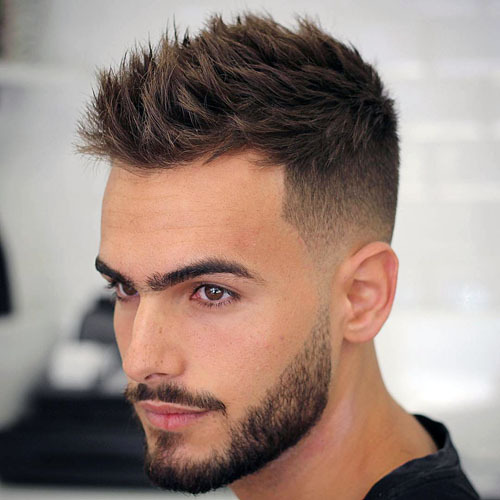 Many short professional hairstyles for men are flattering on a variety of faces. Keep the top short but with enough to part and brush to the side. The sides should be cropped close and trimmed well around the neck and ears. It’s conservative but not dull. 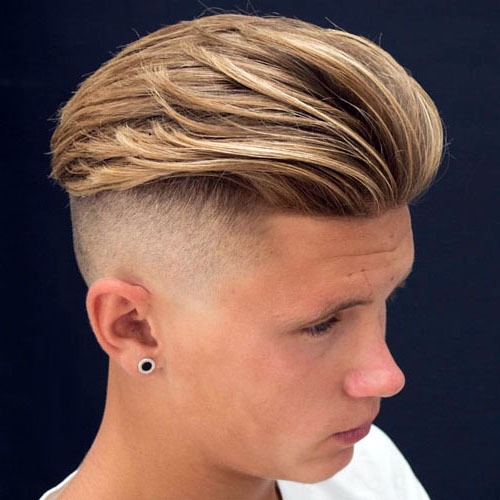 This one is another universally flattering cut in the short professional hairstyles for men category. It’s easy to maintain, but it gets a lot of personality from the well-done taper. All the better if you have a close-trimmed beard that connects to the sideburns. Some short professional hairstyles for men are only for the brave. 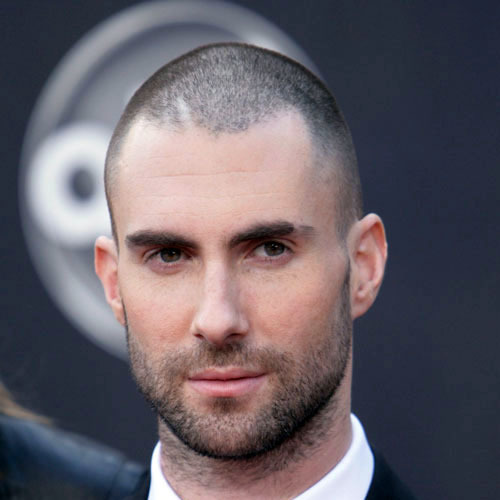 If you’ve got problems with thinning hair, embrace the look by shaving the hair very close to the head. It’s clean and edgy, but with just enough class that we could definitely see it working in the office. 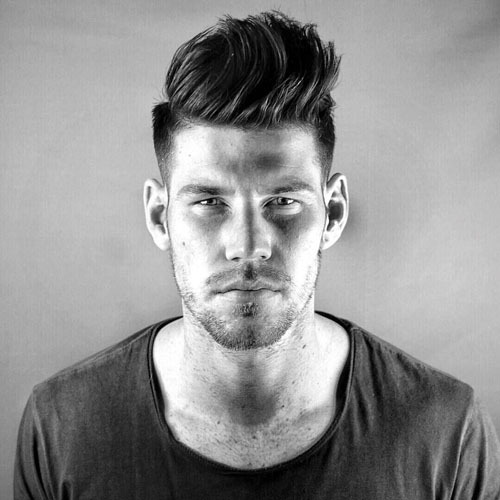 Here are some trending professional hairstyles for men with thick hair. Embrace that thickness and tease your hair upwards with this style. It’s great for men with ultra thick hair because you won’t have to fight it every morning to get it to lay down. 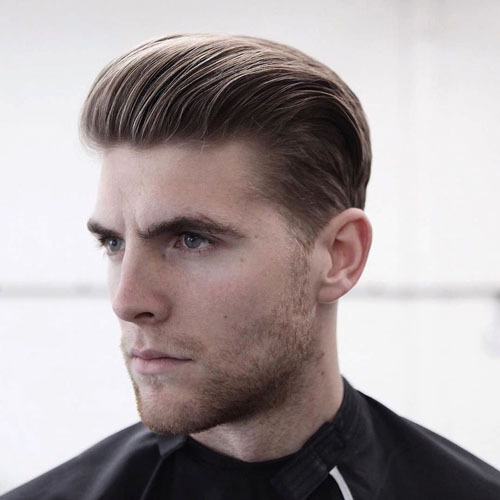 Professional hairstyles for men with thick hair don’t have to be complicated. Hey, gangsters are businessmen too! 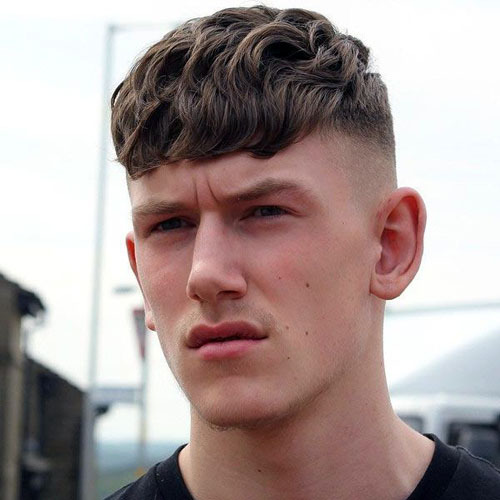 Take a lesson from the Peaky Blinders crew with this stylish cut that highlights your thick top-heavy hair. Undercut it, so things stay clean around your ears. 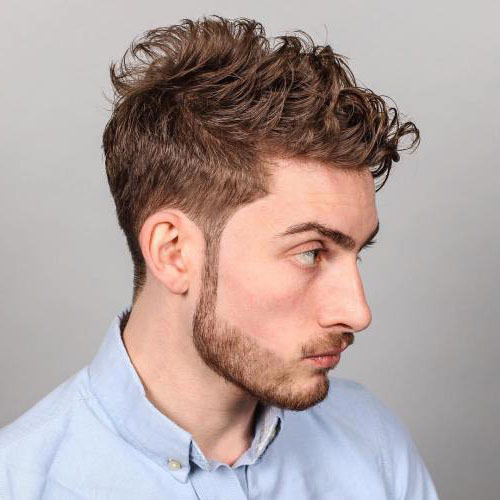 It’s one of our favorite professional hairstyles for men with thick hair! 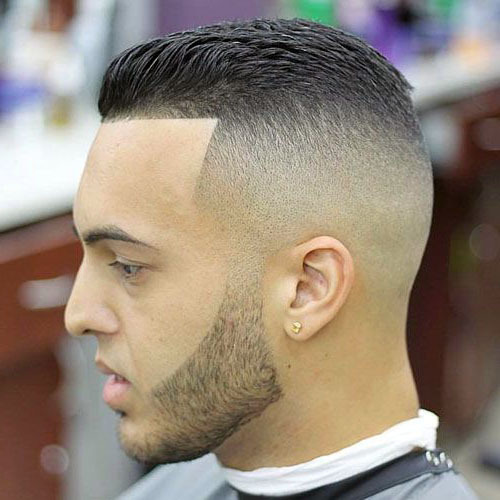 Another of several professional hairstyles for men with thick hair and a low hairline. 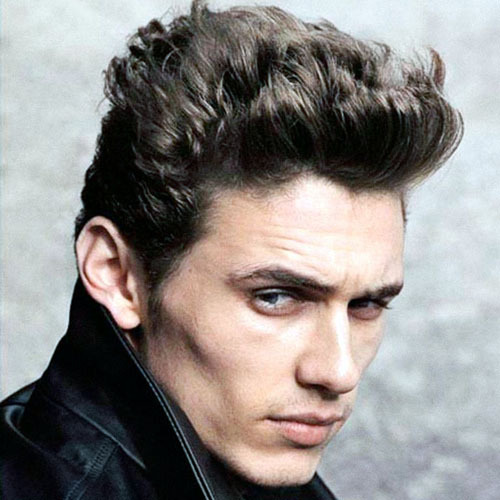 It highlights the angles of the face, looking ultra masculine while allowing for thick hair to be a little bit unruly. Everything is kept in place with a bit of product and a close-cropped taper. 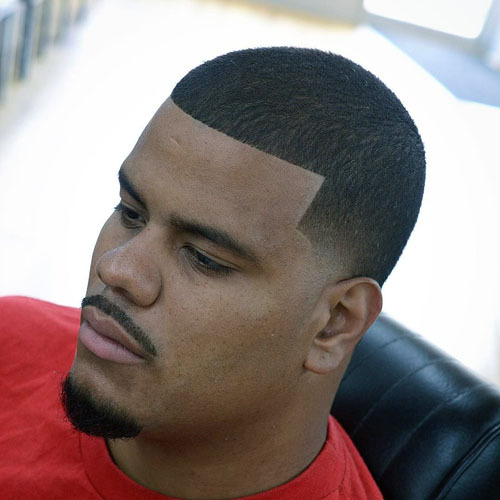 Professional hairstyles for men can embrace thickness by keeping everything a bit long. It might be too shaggy for ultra-conservative offices environments, but as long as you keep a regular trim, it should perform well in most business situations. Long hair on top and close crop underneath. If you’ve got time to blow dry it for volume, this is an excellent “new trendy” hair that’s never really gone out of style. It might take some time, but it’s well worth the dramatic thick hair effect. 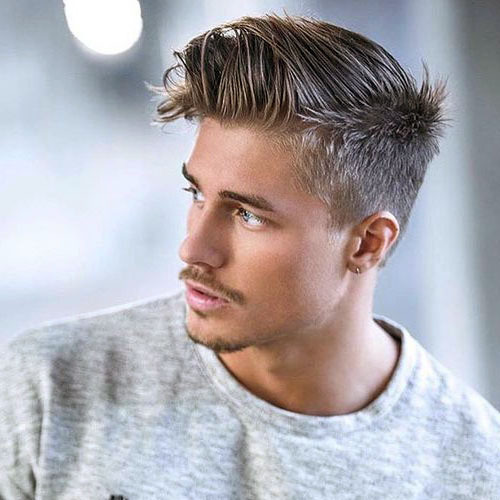 Men’s hairstyles have a lot of variety, including professional hairstyles for men with long hair, if you embrace your natural hair and don’t mind spending a minute or two in front of the mirror. You should have plenty of inspiration, so your professional haircut never gets boring. What do you do for a living? Let us know in the comments below.